Winter Slow-fire League is held on the 100 yard range. This handicap league is open to all club members using any rifle (including Black powder cartridge or rim-fire) with any kind of sights. The course of fire during the Winter League follows the CMP (Civilian Marksmanship Program www.odcmp.com) for Garand/Springfield/Vintage rifle matches. M1 Garand Class is held in May. This class is open to club members and non-members, and is designed for New shooters. 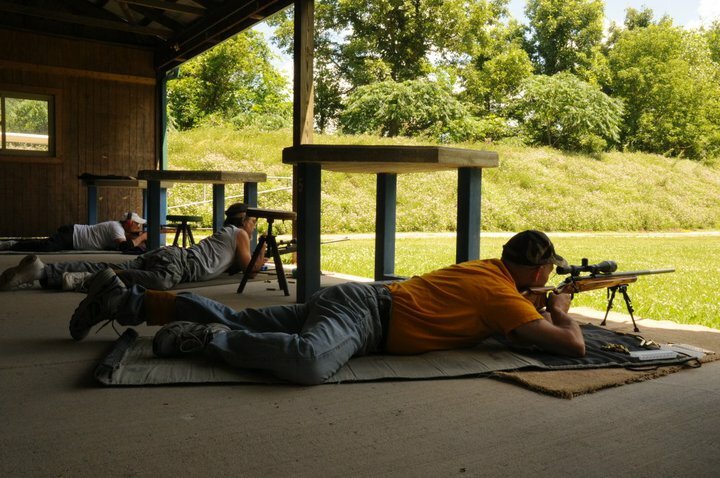 The class is taught by a CMP Master Instructor and/or NRA Certified Rifle Instructor, to learn how to shoot an M1 rifle and to get an introduction to position (Standing, Sitting, Prone) rifle shooting. The class consists of two evenings of instruction followed by a CMP registered live fire Garand Match on the 100 yard range. This class is the ideal way to learn both the safe handling and operation of an M1 Garand, as well as the perfect preparation for participation in the WWCCA Rifle leagues. Participation also provides the proof of marksmanship activity required to purchase a rifle from the Civilian Marksmanship Program. 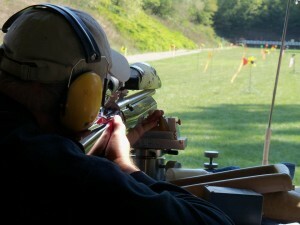 For questions about the rifle leagues contact Mike McCabe at mike@whiskerdreams.net. For those who don’t have a lot of experience and would like to shoot the rifle league the ideal introduction is to attend the Garand Class. Alternatively, attend the last relay at any League Match. Each Rifle League Match shoots multiple relays. New shooters should attend the last relay (usually at 12:00 or 1:00 pm), because the first two relays are normally full, and we will run the match at a slower pace. The Belly Shoot started in September 1994 as a fun shoot. Due to the great enthusiastic participation, it soon turned into a summer league. Open to club members only. We start in March with a prep match, April – August are league matches, and in September a fun shoot. We shoot on the 200 yard range, all shooting is done in the prone position, and ALL of the WWCCA 200 yard range rules apply. Shooters may use any center fire rifle, any sights (iron or scoped), and ALL rifles must have a sling (no hasty slings). Equipment needed is a mat or rug to lay on, eye and ear protection. The chairperson running the match is in command of the range until the match is declared over. WWCCA furnishes scopes, targets/posters and staple guns. Rules and course of fire are as follows: All shooting is in the prone position. All shooting is slow fire, single round ONLY. 2. 5 minute sighting in period. After the sighting-in period expires, the targets are observed and any corrections are made. 4. 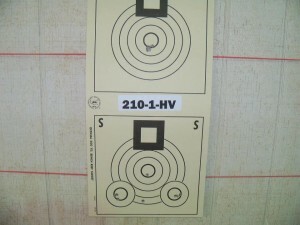 Shooters will have 20 minutes to fire 20 rounds for score. SINGLE LOAD ONLY. 5. When shooting is over and the line is declared safe, you may go forward to score your targets. Dates are all on Sunday from 10:00 a.m. until approximately 2:00 p.m.
How accurate can a rifle be? That’s a question many people who participate in Benchrest shooting ask themselves. Benchrest Shooting is a sport that demands the most from its shooters and equipment. A Benchrest rifle and load is at the cutting edge of technology. There is no more accurate combination in the world. In Benchrest, winners and losers may only be separated by ten thousands of an inch. Many people who have never shot Benchrest can’t understand a shooting sport that lets you rest the gun! The key with this type of shooting is consistency, repeatability, and the ability to recognize how the wind, or conditions, will change the point of impact. In Benchrest shooting the rifle does indeed sit in a front and on a rear rest. The front rest typically has adjustments that move the gun a little up and down and sideways. The rear rest is just a leather bag filled with sand to help stabilize the rifle. There are two types of Benchrest Matches held at WWCCA, Score Shooting and Group Shooting. Score Shooting: The course of fire for a Score Match is that you have seven minutes to shoot one bullet into each of five bull’s-eyes. Each bull’s-eye is worth 10 points, and the total score per target is 50 points. There are five targets per match, so total score per match is 250 points. For 100 yard matches, the bull’s eye is ½ inch in diameter, and every ¼ inch is another ring i.e., 9 ring, 8 ring, etc. All you need to do is touch the ring to get the score. Tiebreakers are determined by the number of shots that hit a 1/16 inch dot in the center of the 10 ring. Each dot that the bullet touches is awarded an X in addition to the 10 points. Therefore the maximum score an individual can have is 250-25x. A typical score target is shown below, and you can shoot as many times as you like into the lower right sighter bull’s-eye for the practice, during the seven minute time period. Are you wondering if you can compete with all these guys with custom actions and barrels? Well don’t worry! WWCCA Precision Shooters score matches allow two classes to compete independently; (Hunter Class, basically a hunting rifle), (Varmint-Hunter Class, i.e., factory class: any bolt action center fire cartridge, any scope, stocks not over 2-1/4 inches wide, and weigh less than 10 lbs.). Both of these classes must use a 6X scope only. (variables can be taped at 6X). Varmint-For-Score (i.e., typical target rifle; any bolt action center fire cartridge, any scope, stocks not over 3 inches wide, and weigh less than 13.5 lbs). All you need is about 50 rounds of ammo for 1 yardage. On any day, anyone can win. Even the seasoned pros have a bad day now and then. Come to a match. You’ll find lots of friendly people who will be happy to answer your questions and help you get started. Sunday, January 20st 200 yard range 10:00 a.m.
Sunday, February 17th 200 yard range 10:00 a.m.
Sunday, March 17th 200 yard range 10:00 a.m.
Saturday, July 20st 200 yard range 9:00 a.m.
Saturday, August 17th 200 yard range 9:00 a.m.
Sunday, October 27th 200 yard range 10:00 a.m.
Sunday, December 1st 200 yard range 10:00 a.m.
For more information about Score Matches contact Dana Raven (734) 746-5394 or Tim Bassham (734) 558-3787 or tbassham1@wowway.com. Group Shooting: In a Group Match, the course of fire is also seven minutes, but instead of shooting one bullet into five different bull’s-eyes for score, the competitor is trying to group 5 bullets in the smallest hole possible on one target. Actually, in Group Matches, the bull’s eye doesn’t mean anything as long as you hit somewhere on the record target. The key with group shooting is consistency, repeatability, and the ability to recognize how the wind, or conditions, will change the point of impact. On a day with little or no wind, most benchrest rifles are capable of one hole. Small groups, when I say small I mean really small. To put that in perspective, a five shot group can measure .333 at the widest spread, and after subtracting the diameter of the bullet (.243) the group will be .090 from being perfect (center-to-center deviation). Typical winning aggs (the average of five targets) at 100 yard are .1800? to .2100. In Benchrest shooting the rifle sits on a front and rear rest. A Benchrest rifle is a single shot bolt-action gun with a custom match grade barrel with a scope of your power choosing. The rifles weigh, depending on class, either 10.5 pounds or 13.5 pounds, and are typically chambered in PPC. The 6mm PPC is a custom fire formed round derived from a .220 Russian that is necked up to .243 caliber. The round itself is fairly small, with the brass measuring only 1.5 long. Most shooters use custom-made match bullets that weigh 68 grains, and achieve muzzle velocity of approximately 3300 fps. WWCCA Precision Shooters will host group matches sanctioned by the National Bench Rest Shooters Association. If you want to see what ultimate accuracy is all about, come to a match. You’ll find lots of friendly people who will be happy to answer your questions and help you get started. Practice starts at 10:00am until 5:45pm on the Friday before the Group Matches. “No Exceptions”. Range will be closed to all except match competitors. All Group Matches are limited to 54 competitors. For directions look under the “Club Information” tab.